Serie A side keen to bring Swedish striker back to Turin. Juventus are ready to make an audacious attempt to bring PSG star Zlatan Ibrahimovic back to Italy according to Goal.com. The Swedish striker joined Qatari backed PSG in a mega bucks move from Inter Milan last summer. But the player is reportedly already disillusioned with life in the French capital and that could pave the way for Ibrahimovic to return to Juventus. Ibrahimovic originally played for the Old Lady in his younger days after leaving Ajax but departed the club following their relegation to Serie B in the wake of the Calciopoli scandal. The striker is believed to look back on his time in Turin fondly and would consider a return to the Serie A leaders. Juventus are keen to bring in a marquee striker this summer as they look to re-establish themselves amongst the dominant forces in European football. The club have already confirmed the signing of Fernando Llorente from Atletico Bilbao. The Spanish international will join Juventus once his contract in Bilbao expires at the end of the season. But Juventus are keen to pair Llorente with another top class striker and have reportedly identified Ibrahimovic as the man to fire them to glory. 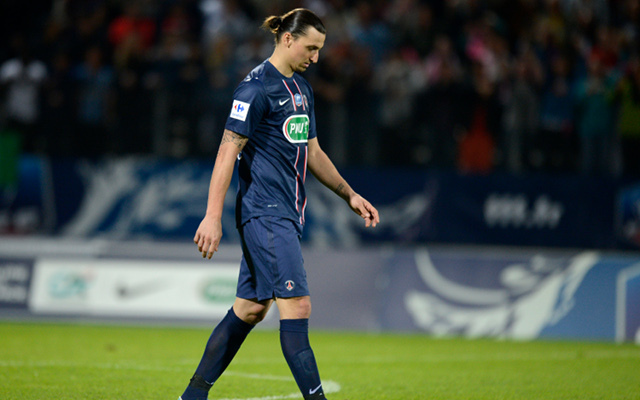 One potential stumbling block however may be the asking price with PSG in no hurry to sell the player on the cheap.